Golden opportunity for BE (IT/Comp/ETC), MCA – 2018, 2017, 2016 batches!! 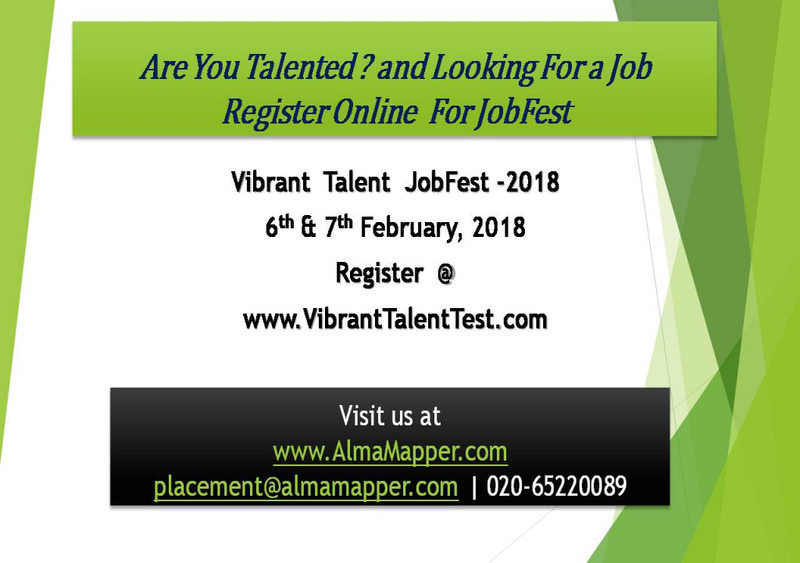 We, are glad to inform you that we are organizing an"Vibrant Talent JobFest – 2018" for Freshers for the mutual benefit of students and companies. Eligibility Criteria: BE(IT/Comp),MCA /MSc/MCM 2016 & 2017 Pass Outs & 2018 Passing Outs. Time: 8.30 AM to 6.30PM. Don't miss the wonderful opportunity to appear to kick start your career ..... ! #Forward to Your Friends who are looking for Job …..This is an excellent chance for JobSeeker …!!! DON’T Miss….! !